The Manchester International Law Centre is saddened to announce the death of Professor Gillian White, former Professor of International Law at the University of Manchester, in Tamworth, New South Wales, on 2 August 2016. Gillian Mary Fraser, née White, was born on 13 January 13 1936 in Woodford, Essex. She obtained a first class Bachelor of Laws degree from King’s College, London in 1957, attending classes as an evening student while she worked as an Assistant Examiner in the Estate Duty Office. She then proceeded to study for her Doctor of Philosophy, awarded by the University of London in 1960, the year in which she was also admitted to Gray’s Inn. 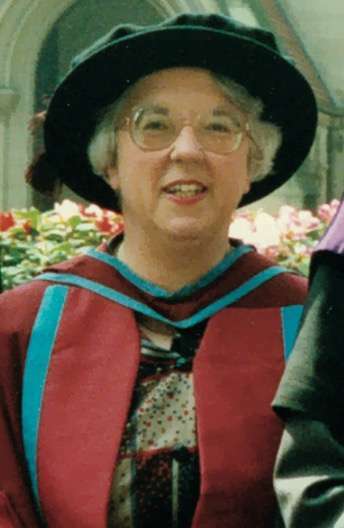 In 1961, she moved to Cambridge, where she acted as research assistant to Sir Elihu Lauterpacht QC, and as Research Fellow in Law and Director of Legal Studies at New Hall, now Murray Edwards College, and subsequently to the then Victoria University of Manchester, where she spent the remainder of her career. Appointed as a lecturer by Manchester in 1967, she was promoted to senior lecturer in 1971, and to reader in 1973, before succeeding Ben Wortley as Professor of International Law in 1975. This was a significant appointment as Professor White was the first woman appointed as a professor in law in mainland Britain, and the first as a professor of international law in the United Kingdom. She subsequently acted as Dean and Head of Department at Manchester for a number of years, before retiring in 1991. On her appointment, Professor White continued a line of distinguished international lawyers at Manchester. James Brierly was professor in the early 1920s, and Ben Wortley arrived as a lecturer in 1933. Before Professor White arrived, Professor Wortley’s junior colleagues had been Derek Bowett (1951–1960) and then Don Greig (1961–1963). In her time, Professor White was assisted by, amongst others, Vaughan Lowe (1979–1986) and Catherine Redgwell (1987–1990). One of Professor White’s enduring legacies is the inauguration in the 1970s of a monograph series, the Melland Schill Studies in International Law, published by Manchester University Press, which has hosted the publication of ground-breaking works such as Robin Churchill and Vaughan Lowe’s Law of the Sea (1983; the fourth edition is currently in preparation), Tony Carty’s The Decay of International Law? A Reappraisal of the Limits of Legal Imagination in International Affairs (1986), Leslie Green’s Contemporary Law of Armed Conflict (1993; the fourth edition of which has recently been commissioned), General Tony Rogers’ Law on the Battlefield (1995; third edition, 2012), Nigel White’s Law of International Organisations (1996; third edition, 2016), and Hilary Charlesworth and Christine Chinkin’s The Boundaries of International Law: A Feminist Analysis (2000). This monograph series was recently revived in the spirit originally envisaged by Professor White. New titles have been commissioned, and the editors plan to republish some works currently out of print: Sir Robert Jennings, Acquisition of territory in international law will be reissued in June 2017 with a new introduction by Professor Marcelo Kohen, and Carty, as well as Charlesworth and Chinkin, will be republished with substantial new introductions by the authors in due course. 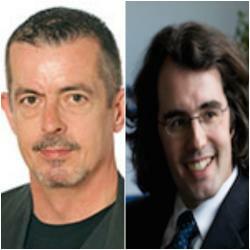 Professor White’s research focused on two specific and then under-researched areas: the use of experts by international tribunals and, more importantly, international economic law. The latter became her domain, and her work in this area was an achievement which Dame Rosalyn Higgins has described as being in that era “daunting” and “pioneering”. Indeed, on the basis of Professor White’s publications, it would have been more apt had she been appointed as professor of international economic law but, in the mid-1970s, international economic law was perceived as a peripheral area of international legal scholarship. Her contribution to the development of this field was enormous. She was one of the first of very few academics in the UK to carve out the province of international economic law. Commenting on the adoption by the United Nations General Assembly of the Charter of Economic Rights and Duties of States in 1974, Professor White regretted the lack of a broader academic discourse on how legal rules could shape economic relations between States, and affirmed the role of international lawyers in the transformation of “policy and rhetoric into international legal rules which can effectively govern a new international economic order” (White, ‘A New International Economic Order?’, (1975–76) 16 Virginia Journal of International Law 345.). A convinced multilateralist, Professor White was at the forefront of the development of international economic law as we know it today. For instance, in the area of trade, she advanced a strong defence of a rule-based world trading system. Even before the creation of the World Trade Organization in 1986, Professor White had consistently argued for a radical shift from the diplomacy-oriented trading regime that had stifled the development of hard law in the General Agreement on Tariffs and Trade era towards a rule-based trading system. She argued at the outset of the existence of the World Trade Organization that its Members should give serious attention to the interpretations developed by its Panels and Appellate Body, seeing the rules of interpretation codified in the 1969 Vienna Convention on the Law of Treaties as the most “suitable tool” for the interpretation of trade agreements. This set the pace for the international legal scholarship that followed. first taught me English Legal System. She made a fairly dull topic come to life and we all noticed that from time to time International Law entered into her lectures and then her face lit up. So in the second year when we studied Public International Law, which was then compulsory in Manchester, Gillian taught her first love. She made the “cod wars” with Iceland live for the class. Many of my female fellow students (of whom there were then only eleven) had Gillian as their personal tutor and testified to her kindness and common sense. Gillian White married an Australian farmer, Colin Fraser, in her early forties. They met on holiday in Norway, and Mr Fraser abandoned his planned tour of Europe in order to woo her. They were married in April 1978 and lived in England before moving to Australia after she retired. He readily gave up his life in Australia to be with Gillian until her retirement. She then thought it was her turn to change her life so that he could return to his. They were together for thirty-six years, until Colin’s death in 2015. Gillian White was a devout Anglican, and her care, concern, and kindness for others dominate reminiscences of her private life. There are countless examples of this – for example, she regularly made the long and indirect journey from Manchester to Cambridge to visit an ailing and elderly Joyce Gutteridge during her final and protracted illness. Miss Gutteridge was a formidable figure in her own right, appointed as the first woman legal adviser to the Foreign Office in 1950, she was the most senior female member of the Diplomatic Service at the time of her retirement in 1966. Professor White was also instrumental in supporting a palliative care facility in Tamworth, the town to where she and her husband had retired. It is fitting that it was there that she ended her days. Gillian White was a ground-breaker: a pioneering woman academic who inspired many colleagues over decades. To celebrate her legacy, the Manchester International Law Centre, with the generous support of the School of Law, has established a new annual public lecture in her name. The inaugural lecture will be delivered by Professor Mary Footer (University of Nottingham) on 7 March 2017 [register here]. The Annual Gillian White Lecture will be administered by the Centre’s newly created Women in International Law Network, which has the aim of providing a professional community for women international lawyers at all stages of their careers.